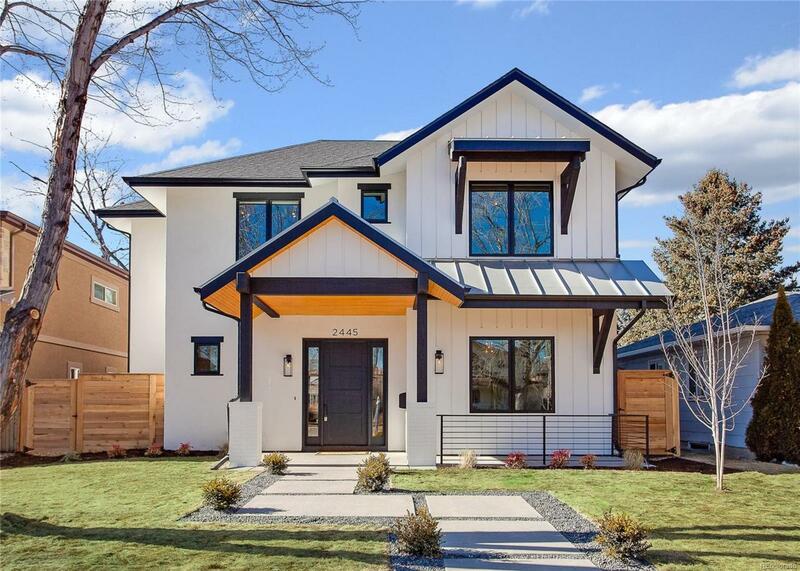 On a spectacular treed block in Observatory Park, this newly constructed modern farmhouse is a masterpiece of quality throughout. The covered front porch sets the stage for this stylish residence, with metal roofing + striking beams & columns. Open floorplan spans nearly 5600 sqft, finished to perfection. High ceilings, engineered 5 & 7 in. white oak floors, lighting from Fusion & Galleria, plumbing fixtures by Ultra Design + quartz & marble counters throughout. Main floor study, dining with butlers pantry, chefs kitchen with island & Thermador appliances + 225 bottle temp-controlled wine room. Great room offers tremendous light & includes custom steel fireplace by Classic Metals. Spa-like master includes 5pc Carrara marble & quartz bath + walk-in closet. Upper level features 2 add'l en suites + convenient laundry. Huge rec room in the lower level + 4th & 5th bedrooms, 3/4 bath, exercise & mechanical/storage. Lush landscaping & 2 car attached garage complete this incredible property.